One further oddity in Alan Gibson’s document is his polemic against us about RESPECT, the political coalition/party that was formed as a result of the expulsion of George Galloway from the Labour Party at the end of 2003 for his extremely outspoken and militant opposition to the Iraq War and his unsparing attacks on its New Labour architects, headed of course by Tony Blair. It is worth quoting Alan’s passage about this in full, dissecting it, going through some relevant history, both involving New Labour’s initiation of the Iraq War and the purges and splits that were an integral part of that, as well as some other history involving crossovers of anti-imperialist struggles with domestic politics when electoral questions were posed. As well as this, it is worth addressing the nature and conjuncture that gave birth to New Labour, the reasons for its rise and also for its decline, which is very evident now, and the nature of the polarisations and splits that resulted from it, that I would argue are crucial for understanding the class contradictions that bourgeois workers parties embody. In that regard, merely responding to Alan’s polemics in favour of Spartacist-derived revisionism has compelled me to go deeper into the reasons why the strategy the Spartacists put forward is so profoundly sterile and at odds with the highly complex and subtle organism that is a bourgeois workers party, and therefore incapable of addressing its contradictions. Hopefully this will continue to do that while coming at the subject from a slightly different angle. Unfortunately Alan does not elaborate on what he means when he says that RESPECT was a ‘popular frontist coalition’. However it is not difficult to discern what he means by this criticism. It was quite a common criticism made of RESPECT by people who were hardly concerned for the independence of the working class movement from the bourgeoisie. Psuedo-left criticisms of RESPECT were made by a whole number of people on the left who, for instance, would have no problem with blocs with a wing of the ruling class, and no problem with backhanded, or even not so backhanded, support for imperialist wars like Iraq, which RESPECT was formed to resist. “The policy of the ‘People’s Front,’ as is shown by the example of Spain, France, and other countries, consists in subordinating the proletariat to the left-wing of the bourgeoisie. But the entire bourgeoisie of the capitalist countries, the right as well as the ‘left’ is permeated through and through with chauvinism and imperialism. The ‘People’s Front’ serves to turn the workers into cannon fodder for their imperialist bourgeoisie. Only that and nothing more. The message then, is clear enough. The Popular Front is a bloc of the proletariat with the left-wing of its own bourgeoisie. Particularly in an imperialist country, a key element of it is support for the predatory imperialist activities of its own ruling class, its imperialist and colonial wars. That sets out some of the context of examining the extremely discordant critique of RESPECT in the above passage. Popular Fronts can exist in non-imperialist countries as well as imperialist ones. When such a formation comes into existence, as in Chile, the workers parties in the Popular Front find themselves in a bloc with, not a predatory imperialist bourgeoisie whose role is to plunder and enslave other peoples, but rather what is actually a disguised servant of the imperialist bourgeoisie abroad. Thus in Chile, Popular Unity allowed a way in for the CIA and its servants to crush the workers movement and turn Chile into a military laboratory for neo-liberalism and its shock treatments run at the behest of neoliberal ideologues like Friedman, Hayek and Kissinger, to develop a paradigm that would be later used against the working class of many other places, including in due course the imperialist countries themselves. So the message is clear. It is the duty of revolutionaries to support oppressed bourgeois countries when they are attacked by imperialism. Indeed, for Trotsky as quoted earlier, such support, that is, support for anti-imperialist struggle, is the ‘key to liberation’. The People’s Front, on the other hand “serves to turn the workers into cannon fodder for their imperialist bourgeoisie”. Therefore we would expect the people’s front to be, as a matter of course, on the side of ‘their’ imperialist ruling class in any predatory imperialist war it wages against oppressed countries, and it is utterly unthinkable for a Popular Front to support the resistance of an oppressed people against their own imperialist ruling class. No Popular Front could support armed resistance of the victims of its own imperialism’s predatory wars and be seen to call for their victory; that would contradict the very nature of a Popular Front. Indeed, history bears this out. Two historical examples at the highest level are the suppression of the “Quit India” independence movement during World War II by the wartime Popular Front government of Churchill’s Tories and Attlee’s Labour Party, and the reoccupation of Indochina by French Imperialism under its post-WWII Popular Front government. Both were ultimate examples of the Popular Front, endorsed fully by Stalin’s Kremlin as part of his wartime ‘People’s War’ pact with Churchill, Roosevelt and the ‘Free French’ who came to be symbolised by De Gaulle. “After repeatedly capitulating before the imperialist powers (Saigon, September 1945; the 6 March 1946 accords; Fontainebleau modus vivendi), the Viet Minh were finally forced to fight the French by a series of open provocations in late 1946. On 20 November, the French navy, which had blockaded the Haiphong port, seized a Chinese junk trying to run the blockade; in response, a Vietnamese shore battery shelled the French. Seizing on this incident as an excuse, three days later the French brutally attacked Haiphong with heavy artillery and aerial bombardment, killing roughly 20,000 Vietnamese. Early in December, the French demanded that the Vietnamese withdraw entirely from the city and the surrounding roads; in response, the Vietnamese commander, Vo Nguyen Giap, proposed a mixed commission to discuss the question! Subsequently, on 19 December the French demanded the disarming of the Viet Minh militia, and that night general fighting broke out in Hanoi. The fighting continues to this day. [This was written in the mid-1970s – ID] As it turned out, the Viet Minh were quickly driven out of the capital and did not return until after the 1954 Geneva settlement. Had the Stalinists resisted the French reoccupation from the beginning, when the imperialists were weakest, a quarter century of war and more than two million deaths would have been avoided. “The attitude of the French Communist Party in this conflict was an illustration of the lengths to which the Stalinists would go in attempting to ingratiate themselves with their respective bourgeoisies. Thus, while Ho Chi Minh was writing servile letters to the Americans, forming political blocs with the pro-Chinese bourgeois nationalists, dissolving the Indochinese Communist Party and agreeing to permit the entry of French troops into the north, his French comrades were busy explaining why the right of national self-determination did not apply to Vietnam and voting war credits to finance the French expeditionary force! “As early as September 1945, the Saigon committee of the French CP ‘warned the Viet Minh that any ‘premature adventures’ in Annamite independence might ‘not be in line with Soviet perspectives.’ That same month the French government (including several CP ministers) proposed a military budget of 193 billion francs, including 100 billion for the Expeditionary Force in Indochina; the CP voted for the bill. In July 1946, smelling a victory in the next elections, the Communists took up a virulent nationalist stance: ‘Are we, after having lost Syria and Lebanon yesterday, to lose Indochina tomorrow, North Africa the day after?’ wrote L’Humanité (24 July 1946). Two days later the CP deputies voted for a constitutional definition of the French Union which made Vietnamese ‘independence’ purely fictional! (Stalinism and Trotskyism in Vietnam, Spartacist Pamphlet, https://www.marxists.org/history/etol/document/icl-spartacists/vietnam/trotskyism.html). So here we have, in a microcosm, the attitude of Popular Fronts in imperialist countries to predatory wars waged by their own ruling class. They support imperialism, this is in their very nature, they can do nothing else. Now we turn to the formation of the RESPECT Coalition in 2004, which everybody knows was the result of the expulsion from Labour of George Galloway MP, the most fervent and outspoken opponent of Tony Blair and George Bush’s planned invasion of Iraq, which was part of a long-planned ambition by the United States to re-write the map of the Middle East, both to reassert its own world hegemony and to a considerable extent for the benefit of its intertwined political partner, Zionist Israel. The repercussions of the Blairisation of Labour and the entrenchment of Zionist influence it brought with it persist even now in the Zionist-driven ‘anti-Semitism’ witchhunt within Labour against Corbyn and his supporters. “In the television interview, broadcast last Friday, Mr Galloway said: ‘Even if it is not realistic to ask a non-Iraqi army to come to defend Iraq, we see Arab regimes pumping oil for the countries who are attacking it. Mr Galloway denied that his interview amounted to incitement to Arabs to kill British troops. RESPECT was a coalition that was formed, in part out of the wreckage of the Socialist Alliance when the Socialist Workers Party effectively abandoned it after Galloway’s expulsion from Labour. The bloc of the SWP and Galloway was bolstered by the support of smaller left-wing groups like the British USFI grouping Socialist Resistance. But most notably it was Galloway’s personal following among a large and angry section of the Muslim immigrant community who provided RESPECT with a mass base. His long-time, outspoken support of the Palestinians and his defiance of the Labour leadership and the British ruling class since the first imperialist war against Iraq in 1991, his organisation of convoys of aid such as the Maryam Appeal to break the imperialist sanctions against Iraq, led to him becoming the most hated pro-Arab radical figure in British politics by far. In that sphere he had no competition and he had over that period built up a considerable personal following that went with him when he was expelled from Labour and allowed RESPECT to build up a considerable mass base, which had a very mixed consciousness. His support came mainly from the Pakistani and Bengali immigrant communities, as well as smaller Arab and even Somali communities, in several important cities, including London, particularly though not only in the East End, Birmingham, Preston, Manchester and Bradford. It included both working class and middle class elements from these immigrant communities, some of whom had a working class consciousness, many of whom did not particularly but did have a more diffuse anti-imperialist consciousness that was both fed by Galloway’s strongly anti-imperialist campaigns and in turn strengthened them. There was thus a mixture of diffuse left social democracy and an equally diffuse Islamic-religious anti-imperialist consciousness involved in Galloway’s mass base, and of course as the movement began to grow, it also picked up support from quite a few opportunists and careerists, as the Labour Party does on a much bigger scale. Most soon left as it hardly offered them a career. Galloway himself is a flawed and contradictory figure, a very outspoken figure on the Labour left and their most outspoken anti-Zionist and anti-imperialist by far. Yet on some questions, he is socially conservative – a practicing Catholic (at that time as least – he is now more ecumenical and some suspect him of being a secret Muslim) with origins in an Irish family that migrated to Scotland, he is opposed to abortion. Such contradictions are not unheard of among radicals of such background, witness James Connolly himself. Galloway is no revolutionary, unlike Connolly, but a left-reformist subjective anti-imperialist in today’s politics, though also a sentimental Stalinoid over historical questions including WWII and Churchill. His recent Lexit position and activity over the European Union shows up his political weaknesses quite clearly; disgusted by the concrete activities of British imperialism; he still holds to the idea of the nation state as the foundation stone for socialism, and that led into a bloc with Farage as part of a dismal old tradition of the left uniting with the right on the terrain of ‘national sovereignty’ which he thinks he can cleanse of imperialism. But his activities over Iraq and his continued anti-Zionism and still defiant opposition to all the neocon wars mean this cannot be consummated. RESPECT also gained support from some Islamic radicals as well as local Mosques, and in particular individuals from the Muslim Association of Britain, some of whose leaders were sympathisers/supporters of the Muslim Brotherhood in Egypt, joined RESPECT and a couple stood as candidates in the 2005 General Election. And of course from the SWP it gained a network of cadre, branches and local organisers etc. that could put the coalition on some sort of organised footing, though in practice due to the SWP’s own sectarian/opportunist flaws this proved to be a mixed blessing. However, it did not get one iota of support from any element in the British ruling class. The very idea is preposterous. The entire ruling class viewed RESPECT as a dangerous left-wing organisation with some mass support that was the basis for what they saw as a sinister bloc of revolutionary and radical socialists with Muslim radicals, in a demonology that owed something to ruling class demonology from the previous century about the then-perceived relationship between communists and Jews. Not only that, but there was a significant echo of this kind of reactionary, anti-Muslim chauvinist element on the left, which also was the source of much of the outcry about RESPECT being something akin to a popular front, even though it had no ruling class support whatsoever. “….3. RESPECT calls for the immediate withdrawal of troops from Iraq. We recognise that the main enemy in the region is US and British imperialism and we are on the side of the 82% of Iraqis who in a recent opinion poll called for the troops to go. We do not accept the notion of a third pole between the occupation and those resisting it in Iraq. ”4) We do not equate Islamism with imperialism. We defend Iran against the threat of imperialist attack. The allegation this is the politics of popular-frontism is a fantasy. This is a formation that stood in elections attacking the main bourgeois workers party, as well as the bourgeois parties, for their crimes against the peoples of the Middle East, and gained creditable votes and some outright victories by mobilising the support of that part of the population that is the target of the most virulent racism from the ruling class. Its spokespeople were notorious for their public support for Arab armed resistance to the neocons wars in the Middle East. This is completely at odds with the social-patriotic nature of Popular Fronts. “Tony Cliff published three books on Russia, Eastern Europe and on China, that, though their theoretical framework was, in my opinion, wrong, assembled a mass of valuable facts and figures to show just how bad Stalinism really was. The sort of apologetics you now make for all things Islamic, even the Taliban’s treatment of women, was, for Stalinism done by the soft liberal “left”, people who didn’t think anything was worth fighting for, and whose gut impulse was to accommodate to the power of Stalinism — and the likes of Isaac Deutscher and the sillier “Trotskyists”. You scorned such an approach. You argued for the Third Camp of independent working class politics — against both ‘Washington and Moscow’. Cliff’s books told the truth. In my experience, you were often ‘on the ground’ soft and accommodating to Stalinists (softer than some of us ‘orthodox’ Trotskyists were, but I won’t pursue that here). The Muslim immigrant communities many of whom supported RESPECT are here denounced by Matgamna as something similar to supporters of Nazi Germany! It is relevant that the CPGB just prior to this period were having fusion talks with Matgamna’s AWL. These were aborted as the AWL’s variant of third-campism was too overtly pro-imperialist for the CPGB; the repeated statements of AWL leaders that if they were forced to choose between a successful defence of Iraq by Saddam’s regime, and the victory of Western imperialism, they would prefer the latter, was a step too far into the imperialist camp than the CPGB could possibly countenance. “the left should lead the condemnation”. Galloway subsequently successfully sued the Telegraph for libel about this, and won £175,000 damages. He also won when the paper appealed. Their leading member Mike MacNair later admitted that the CPGB came close to crossing the class line over this. This is the rightist context (and content) of much of the CPGB’s angst over Galloway, within which I in 2003-4 represented their left-wing, anti-imperialist strand and ended up leaving them when they proved hidebound and obdurate in their Islamophobia and third-campism. In a formation like RESPECT, led by centrists and left-reformists, there can be legitimate complaint about the mixing up of military and political support for bourgeois ‘anti-imperialists’. In terms of the politics of say, Egypt, clearly Marxists would not give electoral support to movements like the Muslim Brotherhood. However, it is very relevant that when in 2012 the Muslim Brotherhood candidate Morsi became the first popularly elected president in Egyptian history, and was then ousted by a Israeli/Western backed military coup a year later, we as Trotskyists who do defend the democratic rights of the Arab masses, do side with the elected Morsi against the Egyptian Pinochet Al-Sisi and his odious dictatorship, which predictably and immediately reversed the cautious measures Morsi had undertaken to support the Palestinians in Gaza. The BT’s neutrality on this stems from the hidden Shachtmanite element in the politics of the Spartacist family. Sisi is now Israel’s partner in crime in its incremental genocide against the Palestinian population of Gaza. Neutrality in the Sisi coup is a betrayal of the Arab masses, and a third-camp position. What is ironic is that the co-thinkers of the SWP in Egypt, (though long after the Rees/German leadership that then led the SWP in RESPECT had been purged), were cravenly stupid enough to back Sisi’s coup because of their disillusionment with the MB and Morsi. While Marxists would not support the Muslim Brotherhood in Egypt, that is not the end of the question. If some individual expatriate MB sympathiser stands for election in an imperialist country on a ticket with a expelled Labour MP who has openly called for armed resistance by the people of a semi-colonial country, calling for a vote to this ticket is not calling for political support to the Muslim Brotherhood (the connection is pretty tenuous in any case!) but rather calling for solidarity with those resisting imperialist war in an semi-colony. You would have to be pretty blind not to see this. This is a way of expressing in an election one’s support for anti-colonial resistance against one’s own imperialist ruling class. An analogous example is from Ireland. I would argue that it would not be correct, in general, for Marxists to call for electoral support to Provisional Sinn Fein, the Irish petit-bourgeois nationalist party that was associated with the Provisional IRA. But in the circumstances of 1981, when IRA volunteer Bobby Sands stood for election to the Westminster parliament while he was on a hunger strike which in time proved fatal, and won the election, it was correct, and obligatory, for Marxists to support him. Such support was not political support for the non-working class programme of Sinn Fein/IRA, but support for concrete acts of struggle against imperialism. In such matters, neutrality is a betrayal. This was also true when Anas Altikriti, an Iraqi and a leading figure in the Muslim Association of Britain, stood for election alongside George Galloway after the latter had been expelled from Labour for calling for Arab resistance to Bush/Blair’s invasion of Iraq. Alan Gibson, in polemicising against the CPGB for their supposed ‘softness’ on RESPECT as a supposed ‘popular front’ and attacking them for voting for Galloway at all, is pushing at a very open door. Jack Conrad’s group has no real principled position when it comes to defence of Galloway against the numerous reactionaries that have attacked him. They joined in virtually every bilious denunciation of him including the outcry over his somewhat ham-fisted defence of Julian Assange in 2011. In 2014, when Galloway was the victim of a violent assault by a Zionist thug in broad daylight during the Protective Edge massacre of Palestinians, which he outspokenly denounced, and the culprit was let off any aggravated charges when he openly boasted about his bigoted motives, they failed to give the case any coverage at all, failed to issue any statement condemning an extremely violent and sustained beating against Britain’s most prominent radical left-wing MP. The reason that they could not find it in themselves to openly oppose Galloway in elections when RESPECT was a real political factor was simply because they feared being identified with AWL-style scabbery and open support for imperialism. In any case, the equation of RESPECT with a Popular Front, which is a bloc of workers organisations with (usually) a liberal wing of the ruling class, is itself third-campist in its implications. Even undifferentiated, the Muslim immigrant populations have virtually no representation in the ruling class. They are not even the ‘shadow of the bourgeoisie’ as Trotsky talked about in France and Spain. A few of them have connections with bourgeois regimes and movements whom the imperialists despise, and try to overthrow and crush by force – with third-world bourgeois opponents of predatory US and British imperialism in other words. It is worth in this context noting what Trotsky said about the distinction that it is the “duty” of revolutionaries about such matters. viz. that “we strictly differentiate between oppressor and oppressed bourgeois countries and we consider it our duty to support the latter against the former.” Equating RESPECT, because of such connections, with a Popular Front, i.e. a bloc between a misled and betrayed workers movement with its own ruling class, amounts to equating the oppressed victim nations of imperialism with the imperialists themselves, and is thus itself third-campist. So if RESPECT was not a Popular Front, then what was it? It was a rather unusual entity, a product of the nadir of neo-liberalism’s influence on Labour as a bourgeois workers party and the unique situation where New Labour, instead of acting as a government of crisis to bail out the bosses when their own parties go into meltdown, managed to create a prolonged period of neo-liberal rule by formally the main party of the working class. Labour, in power for 13 years with an overtly neo-liberal, openly anti-socialist leadership, became not just the camp follower or lackey of a war started by the bosses parties, but instead one of the key participants and initiators of such a predatory war in alliance with US imperialism as the world hegemon. That is actually something of a first for the Labour Party or indeed any Labour Party. RESPECT was something akin to an anti-imperialist united front in electoral form. It was a bloc of three forces. (1) A charismatic left-wing Labour MP, driven by his own gut-level antagonism to Western imperialism and Zionism, thrown out of the Labour Party for calling for armed resistance to a colonial war in the most significant expulsion of a prominent figure since the height of British McCarthyism after WWII (the expulsion of Konni Zillacius for his connections with the USSR). (2) A major component of the centrist far left, the SWP then led by John Rees and Lindsey German. (3) A small number of Muslim radicals who were prepared to mobilise politically to try to defeat what they saw as an imperialist attack on Muslims and the Muslim world. In that regard, far from being a Popular Front, RESPECT resembled something like a mini-version of the Baku Congress of the Peoples of the East, operating anomalously within an imperialist country that was at war with the semi-colonial country/ies they were defending. 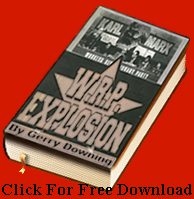 Unfortunately, since the SWP even under the then-more-left-wing leadership of Rees and German, was still an organisation with a pretty deeply ingrained opportunism and pandering to pacifist moods and movements, and Galloway, for all his radical speeches, was in the end just a very angry reformist, they could not take it further. But it was still an opportunity that a genuine Trotskyist organisation should have had a much different, sympathetically critical and nuanced approach than the BT’s attacking the third-campist CPGB effectively for not being third-campist enough. Actually, if anything resembled a Popular Front at that time, it was not RESPECT, but New Labour. It had a strong, openly bourgeois neo-liberal wing that called the shots at that time and had prospered from the defeats of the workers movement under Thatcher and, through an alliance with sections of business – particularly Jewish-Zionist bourgeois like David Sainsbury and David Levy – that took a dim view of the Tories incoherence and often feuds over Europe, saw New Labour and its strident neo-liberalism as a possible replacement for the Tories. A cowed left within the Labour Party found a degree of refuge in the Iraq war movement, but at that point they appeared chronically weak because of the hold that the right-wing of the trade union bureaucracy had cemented over a working class movement that had suffered major defeats in the class struggle in Britain under Thatcher, together with the ideological crisis occasioned by the collapse of Stalinism. The neo-liberals were allowed by the right-wing bureaucrats to run riot, though the response from below to Blairism in power began to see the rise of an ‘awkward squad’ of the likes of Crow and Serwotka in more left-wing unions as the New Labour regime wore on, prior to the 2007-9 crash. The strength of the neo-liberals made Labour appear to have undergone some kind of transformation. The Socialist Party echoed quite a number of left reformists when they said that Labour had become a bourgeois party. This was overstated and somewhat impressionistic, but the Blairised, neo-liberal party did show differences from the Labour Party in the earlier part of its history. Instead of the kind of symbiotic relationship between left and right under the umbrella of the trade union bureaucracy, which was characteristic of Labour for most of its existence, the Blairites appear as an aggressive, openly bourgeois faction within the Labour Party. So New Labour had something of the appearance of a Popular Front party in itself, and it is arguable that the landslide victories that Blair won in 1997 and 2001 were in part due to the support of disillusioned Tories who were still Thatcherites, who would not vote Labour if it stood even on a social-democratic manifesto. In the light of developments since, in particular the Corbyn revolt, there are clearly different tactical conclusions that could be drawn by Marxists as to the best way to address Labour’s mass base in such a position, bearing in mind that those who stayed in the Labour Party eventually managed to oust the Blairites from power with the support of a lot of those who had earlier drifted away from Labour in disgust. Today, when they have been unseated from the leadership of Labour even as they still dominate the Parliamentary Party, the Blairites still appear to be a political party, a party within a party, separate from the rest of the Labour Party, with utter contempt and loathing for Labour’s working class base of support that propelled Corbyn to the leadership. Correctly understood, it is worth considering what makes a formation like the Labour Party distinct from a Popular Front anyway? In its earliest days, the Labour Party absorbed elements of the old Liberal Party into itself – many of its earliest MP were ‘Lib Labs’ elected in seats where Liberals declined to stand against Labour. Many Labour candidates were thus elected with Liberal support, and hence can only be regarded as ‘independent’ working class candidates with serious reservations. They represented a half-step toward full class independence, and even that deserves support … but very critically. A popular front is when the pro-capitalist bureaucratic leaderships of mass workers organisations seek reinforcements from the cadre of the bourgeoisie outside of the movement of our class, reinforcements against their own class base, as a kind of additional anchor, to help keep the working class passive and hold it in check. Different permutations are possible and the difference between a bourgeois workers party and a bloc of such a party with a small bourgeois party, though it is qualitative, is not impermeable. It is perfectly possible for a large or growing bourgeois workers party to first of all bloc with a small bourgeois party, and then absorb it, or part of it. When that happens, the bourgeois party cadre become part of the bureaucracy of the bourgeois workers party. This can happen because often the active cadre of smaller bourgeois parties are petit-bourgeois and not that different socially from the labour bureaucracy, which is also petit bourgeois. Conversely, it is perfectly possible for a bourgeois workers party to generate an overtly bourgeois wing, antagonistic to the mass base of the labour party, which then is compelled to split away. This happened in 1931 in Britain, again in 1981 and it is quite possible that another such split is in the offing today. One thing is clear. Neither the Popular Front nor even New Labour-type developments were ever able to suppress the class contradictions within the bourgeois parties of the working class, or bourgeois workers parties. The idea that class contradictions could be so suppressed, that they could cease to operate, that they could be done away with even temporarily, is indefensible both in theory and in practice. The whole theoretical edifice of Spartacism is based on this denial of reality, and it leads to absurd conclusions. Decades of effort by some of the most thoughtful and dedicated militants among those who aspire to be Trotskyists, have been squandered and wrecked by this kind of anti-Marxist illogic, and a full reckoning with it is long overdue.